Unified Partners compete alongside Special Olympics athletes. Training together and playing together becomes a quick path to friendship and understanding. 1. Are you new to Special Olympics Minnesota? Check out the volunteer roles available on our Volunteers page! 2. 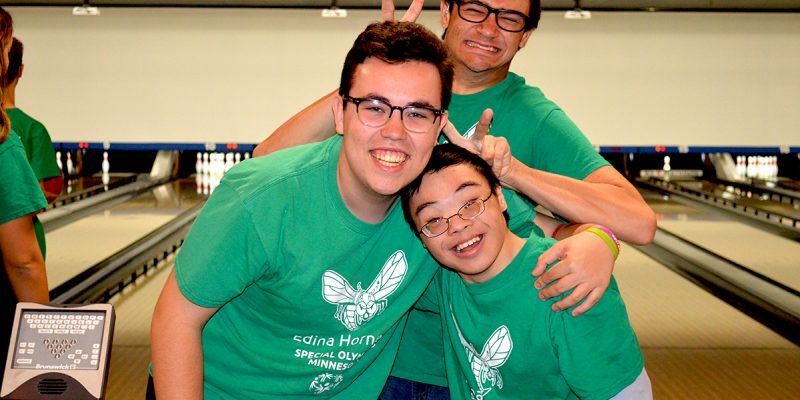 Are you connected with a Special Olympics Minnesota team? Are you an existing Unified Partner? Do you need to update your level 1 certification? All Unified Partners who work with athletes need to be Level 1 certified. This training is designed for new Unified Partners, and current Unified Partners who need to renew their Protective Behaviors training. General Orientation, Protective Behaviors and Concussion are all included in the Level 1 training. 3. Interested in sports specific training? Optional: Unified partners can become Level 2 certified in all SOMN sports. Please visit our Coaches Training page.